These Are the Biggest Craft Breweries in the U.S. Unless you follow craft beer zealously, it's hard to get a picture of what brands are the biggest nationally because distribution is wonky. If you're in Milwaukee, New Glarus seems like the biggest craft beer in the country. But it's only distributed in Wisconsin. 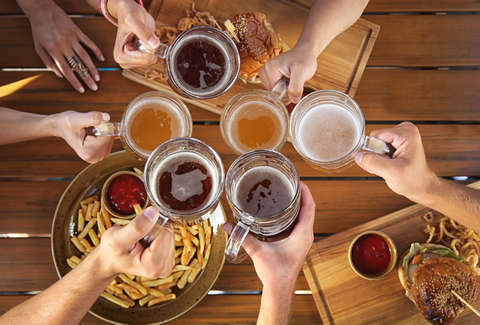 Fortunately, the Brewers Association (BA), a not-for-profit trade group for craft breweries, provides an annual list of the top 50 craft breweries based on sales volume. "Although the market has grown more competitive, particularly for regional craft breweries with the widest distribution, these 50 small and independent brewing companies continue to lead the craft brewing market in sales through strong brands, quality, and innovation," said chief economist for the BA Bart Watson said in a statement accompanying the report. 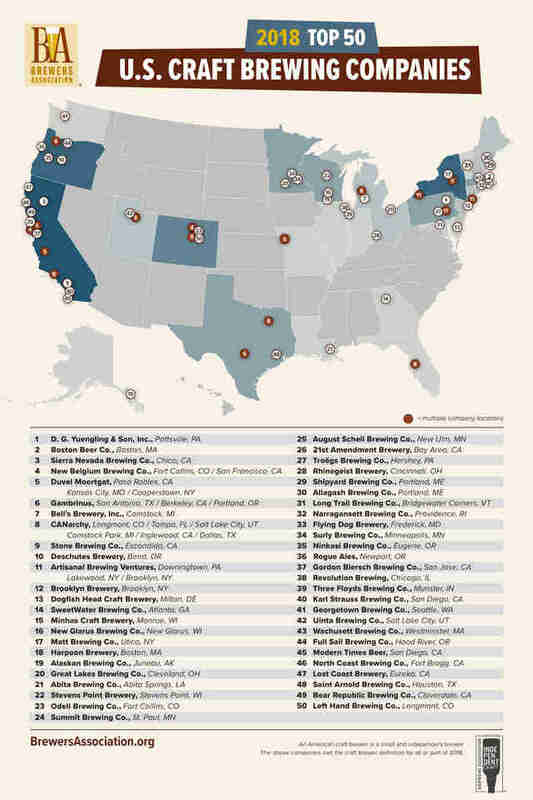 The state with the most breweries on the list is California with 21. Though, four of those have locations in multiple states. It's followed by Oregon with five breweries (one in multiple states) and then Colorado and New York with four each (two each in multiple states). Those are, loosely, the four that have sat at the top of the list for a long while now despite the ups and downs of the industry, brewery closings, some being bought by big beer (Breckenridge Brewery), having status changes (Avery) or all but closing a la Green Flash. The breweries are outlined on the map from the BA, and also listed below in the order of beer volume sold.